Xero vs MYOB - What's The Best Accounting Software For Your Business? 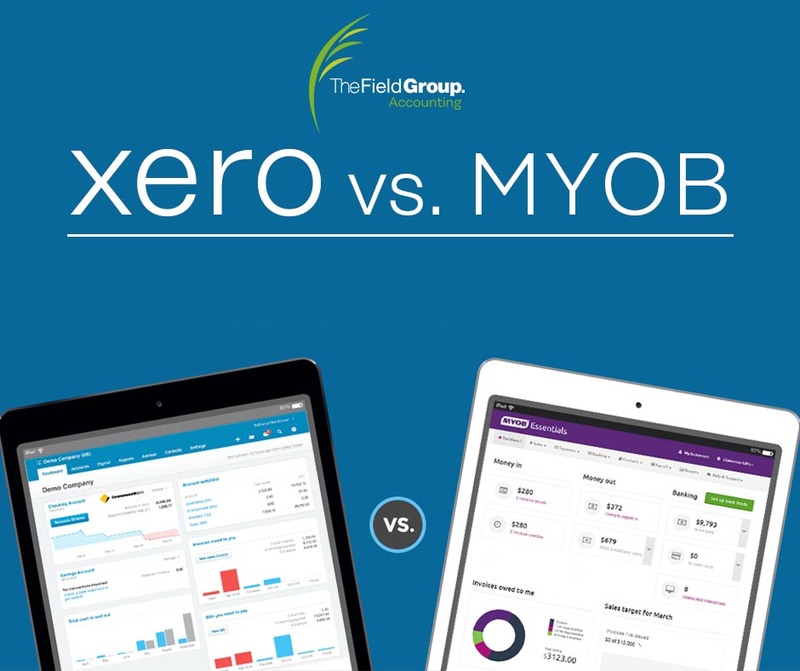 The Field Group - Accountants & Business Advisors > Blog > Xero vs. MYOB – Which Accounting Software Is Best For Your Small Business? Xero vs MYOB – Which accounting software will best suit your business? Accounting software has come a long way over the last 30 years. From old school notebook ledgers, accounting methods have evolved drastically with the introduction of computers and the internet. The most recent disruption to accounting software occurred in the mid-2000’s with the introduction of modern cloud accounting. Think of the ‘cloud’ as an online server with bank-level encryption that allows you to access your data anytime you need it without having to physically store that information on your computer. If you’ve ever used Gmail, Dropbox, or Outlook, then you have experienced cloud technology. Prior to the introduction of cloud-based accounting, the dominant player in computer based accounting software for Australian small businesses was MYOB. Feeling that traditional desktop accounting software had become outdated, New Zealand tech entrepreneur Rod Drury founded Xero in 2006 – a cloud-based accounting software company for small and medium-sized businesses that have since dwarfed MYOB’s market share, almost doubling its subscriber base in the space of 10 years. 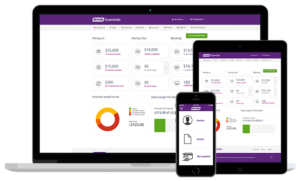 MYOB is now playing catch up, and over the last few years has released their own cloud-based offerings for small business owners; MYOB Essentials and MYOB AccountRight to compete with the Xero juggernaut. So how do the two major cloud-based accounting software companies compare head to head – Xero vs MYOB? What’s the best accounting solution for your small to medium business? In this article, we complete a thorough comparison of the two cloud accounting heavyweights to help you decide the best one for you. MYOB Essentials vs. MYOB AccountRight – What’s The Difference? Before we dive into the head-to-head comparison, it is important to clarify the difference between MYOB’s two main cloud accounting platforms for small business. MYOB Essentials and MYOB AccountRight are both cloud based accounting platforms at their core, but function in different ways. MYOB Essentials is MYOB’s most recent product and is for all intents and purposes, their answer to Xero’s cloud accounting service, featuring a web-based platform that can be accessed from anywhere, on any system (PC, Mac and mobile) without the need for additional software. As the name suggests, MYOB Essentials offers only basic accounting features which would be suitable for a start-up, freelancer or sole trader. For larger small-medium businesses that require additional features such as managing purchase orders, job tracking and advanced inventory tracking, MYOB’s AccountRight can cover all the bases. The main caveat is that AccountRight requires additional software to run and manage which is only compatible with Windows (sorry Mac users). Once installed onto your desktop, the AccountRight software accesses your accounting data file that is stored in the cloud, giving you access to all your information. It is not a browser based solution. Which accounting software will best suit your small business? Xero or MYOB? Whichever software you decide to choose, rest assured that they both are powerful solutions that provide an easy way to manage your accounting. The following comparison has been completed by our qualified accountants who have extensive experience with both MYOB and Xero. The winner for each category has been highlighted in the table below. Xero. Although both companies provide comparable price ranges, consumers might feel overwhelmed with the amount of options MYOB offer. We therefore award Xero as the winner with the most straight forward pricing structure. Number of company accounts 1 per subscription Up to 2 company accounts with the Premier AccountRight subscription MYOB has the slight advantage here allowing up to 2 company accounts with the Premier AccountRight Subscription (which also happens to be the most expensive). Each additional company account with Xero will require a brand new subscription. Signup & installation process Fast and easy sign up process online. Fast and easy sign up process online. For more advanced features like inventory and job management, dedicated software is required and is only compatible with Windows. Xero. For startup businesses or sole traders it’s a tie. However if your small business requires more advanced features, then Xero is the winner as it does not require any additional software. Access Available on both PC and Mac. Essentials available on both PC and Mac. AccountRight only available for PC. Xero. MYOB’s more advanced features are limited by software that needs to be installed to your computer and is only Windows compatible. Mobile App Fast, responsive and intuitive. User interface is a little clunky. Xero. Invoicing Send invoices from Xero. Customizable invoice layouts. Track when recipients open invoices. Send invoices from MYOB. Customizable invoice layouts. Advanced customization available only using AccountRight. Track when recipients open invoices. Xero. Customization is slightly more flexible. Payroll Starter and standard plans only provide payroll for 1. From $60/mo you can get payroll for 5 people (higher monthly cost for more payroll staff $100/mo for 100 people) Essentials’ first 2 plans provide payroll for 1. $50/mo essentials plan has unlimited payroll. AccountRight plans have unlimited payroll except for the lowest $61/mo plan that has no payroll functionality. MYOB. At the same price point of $50/mo, MYOB essentials offers unlimited payroll over Xero standard. Reporting Fast reporting with multiple reports able to run at once. Reports run one at a time. Xero. Inventory All plans include basic inventory tracking and management. Allows third party integrations for complex inventory. Essentials includes basic inventory tracking. Only AccountRight provides advanced inventory/job tracking and management. Xero. Despite MYOB offering powerful inventory tracking tools, it is only accessible on the computer which the AccountRight software is installed on and hence not compatible with Mac. Furthermore, Xero’s integrations with third parties allows it to be more flexible and specific to the users needs. Employee Login Includes ‘My Payroll’ which allows staff to enter timesheets, request leave and view payslips. 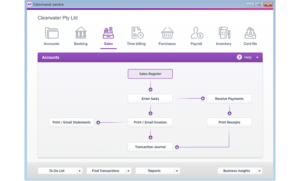 MYOB essentials includes ‘Your Pay’ which allows staff to enter timesheets, request leave and view payslips. MYOB AccountRight includes no employee login and is only available as a paid add-on. Xero. The lack of an out of the box employee portal for the higher end MYOB AccountRight range is a detriment. EOFY Data Rollover Data is perpetual, no need to close or rollover the financial year. For MYOB Essentials data is perpetual, no need to close or rollover the financial year. Xero. The rollover process and requirement for AccountRight is cumbersome to say the least, especially with large data files. It is a process that is not easy for users, many of whom end up requesting hours of assistance from their accountant. Foreign Currency Multi-Currency support available on the Premium subscription. FX rates calculated in real time. Not available. Xero. Online Support Training Videos, online Community, online documentation. Training Videos, online Community, online documentation. Xero. A close one but due to Xero’s simple tier structure, understanding help and support is much easier than MYOB with its fragmented product range. At the end of the day, both accounting platforms should be able to provide most small-medium businesses with the accounting tools necessary to run a business. One major question small businesses need ask when selecting an option is “what does my accountant use and recommend?”. If your accountant recommends and is proficient with a particular accounting platform, then using any other accounting software will make communicating data and getting support much more difficult. By using the accounting platform your accountant recommends you are ensuring a frictionless experience when it comes time to work with your accountant. Business is already stressful enough without worrying about the paperwork and data, so it is highly recommended to streamline collaboration where possible. Xero remains the dominant leader in the Australian market for cloud accounting software with MYOB trailing second. 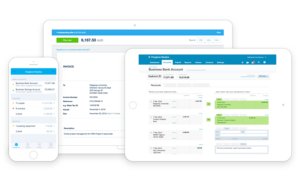 As the first mover in the online cloud accounting space, Xero has been built from the ground up as a slick and responsive accounting tool for any user. Xero’s strength lies in its ability to complete the fundamentals extremely well – and its flexibility lies in its ability to connect with over 400 third party integrations which can enhance Xero’s capabilities to suit the needs of almost any small-medium business. MYOB’s products offer a range of similar features to Xero, however, MYOB still has a long way to go to create a user experience as polished and as fast as Xero. To find out more about Xero and if it would be a good fit for your small to medium enterprise, please contact us to book a free no obligation consultation. We can help you implement Xero into your business and offer migration services if you’re looking to swap from different accounting software. You can also learn more about Xero and MYOB at their respective websites linked below.